Offered at $4,495,000, this 3-bedroom, 2.5-bathroom condo features over 2000 square feet of indoor space and two private terraces facing north and south. Stunning floor-to-ceiling windows bathe the home in southern light and offer panoramic downtown views. 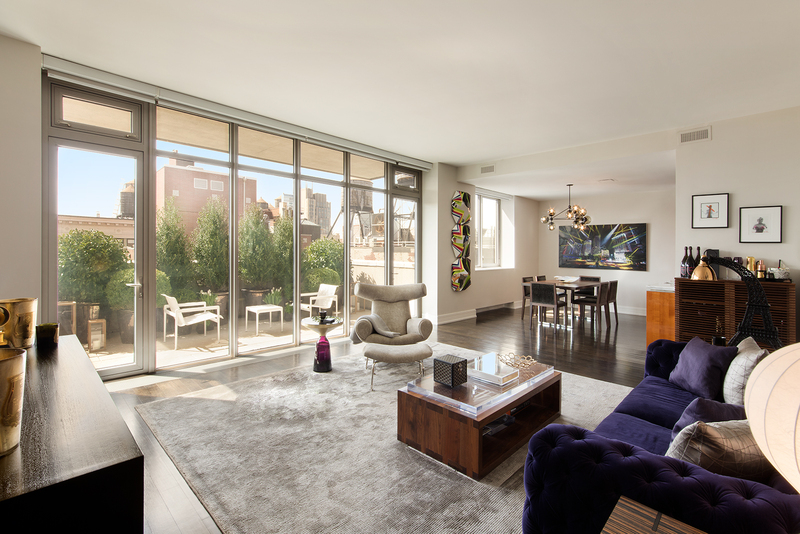 Located on West 23rd Street in Chelsea, one is not far from neighboring Flatiron and Madison Square Park. Be sure to book an appointment and stop in this Sunday for an open house tour of this Chelsea condo!